The band brought the house down at the Paramount Theater. Debuting at the number one spot on Billboard’s Top Rock Albums, Strange Little Birds, may be Garbage’s best record yet although it's their most recent. The alternative-rock band found a way to keep the captivating soundscapes from their debut album in 1995, while also bringing in an entirely new group of emotions and melodies. To be frank, this record is shameless, honest, and incomparable. 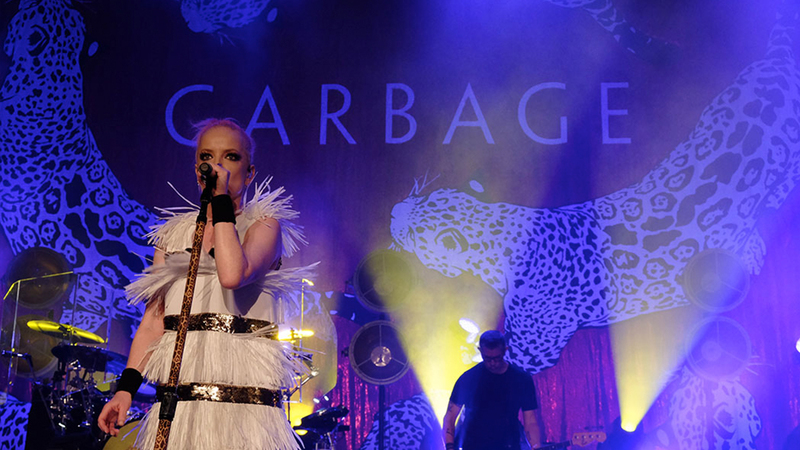 Shirley Manson, Butch Vig, Steve Marker, and Duke Erikson embarked on their Strange Little Birds Tour in early July, and thankfully, we were there to capture their stop at the Paramount Theater in Seattle, WA. The “Empty” foursome had a little help from Texas pop group, , who opened the show with a bang. Garbage captivated the audience with their head-banging and guitar-spinning, all while playing a wide-range of our favorite songs. The pink hair, the tattoos, the singing crowd—we captured it all!